A special Possible Worlds Risograph artist edition featuring the artist’s work will be available for purchase. Entry is free. This exhibition takes place on the second-floor of a plaza and is only physically accessible by stairs (unfortunately there is no ramp or elevator). On behalf of the architects of the past who, by these design oversights, have left out many people, we apologize. Accessible washrooms are available down the street in 24-hour Petro Canada. 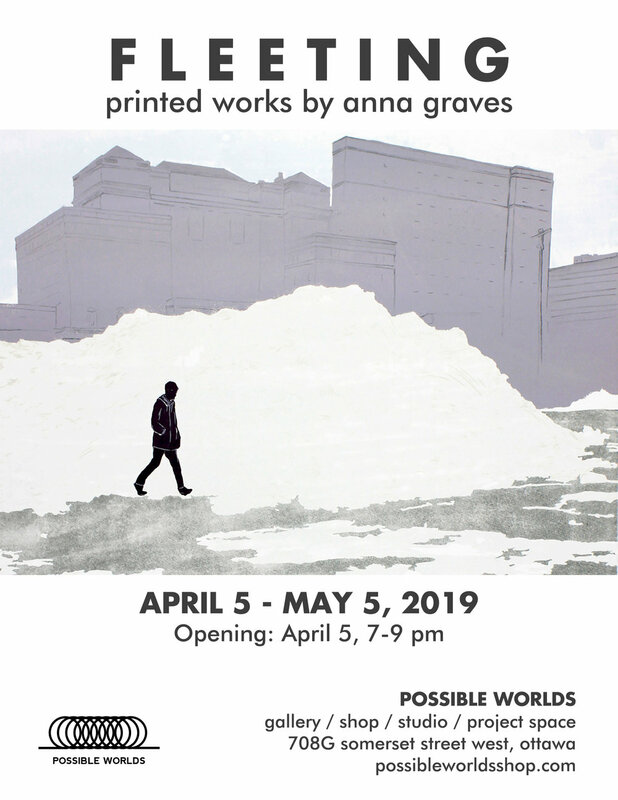 Possible Worlds is pleased to present our second exhibition of 2019, part of a series highlighting Ottawa-Gatineau-based or born emerging graphic artists. In this body of printed work, emerging artist Anna Graves examines relationships between land use and notions of belonging. These large-scale lithograph and silkscreened prints feature urban and natural settings around Mi’kma’ki/Nova Scotia that are experiencing gentrification and shifting industries. With an interest in infrastructure and decay, Graves explores the difficult history of colonialism in this region. On a daily basis, we encounter traces of human interaction with our surroundings. From the organic formation of footpaths to the effects of region-dependent industry, the Earth is shaped by our touch. Likewise, people are products of their environments. Much of my work is landscape or architecturally based. In preparing my large-scale prints, I utilize a catalogue of sketches and photographs. I use drawing as a tool to reinterpret memories and thus relationships with spaces. Anna Graves is an emerging artist based in Ottawa. She is a recent graduate of the BFA program at NSCAD University in Halifax. Having grown up in Ottawa, Graves is interested in the connections between nationalism and tourism, and their subsequent environmental impacts. She investigates national narratives used to construct a sense of identity. Graves has participated in group exhibitions and portfolio exchanges nationally and internationally. 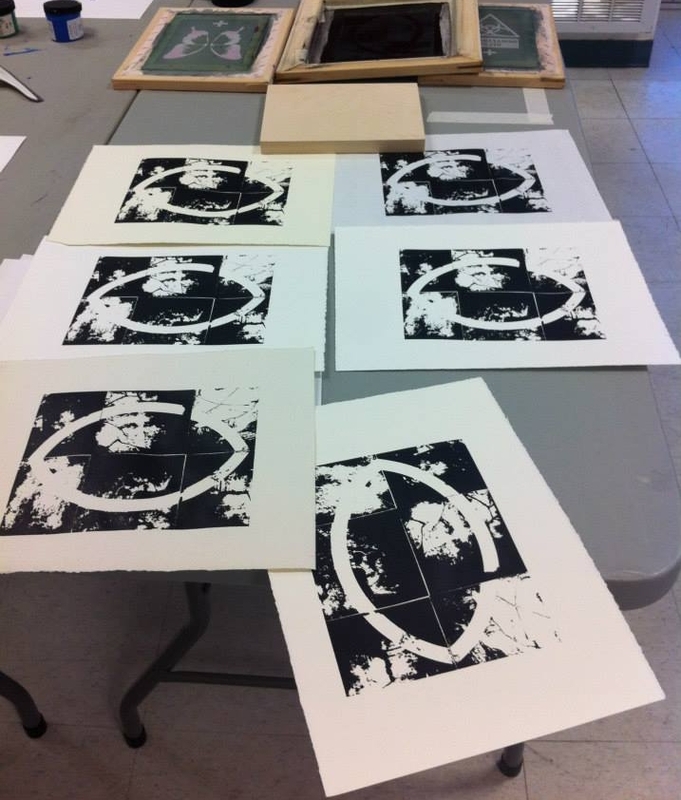 In 2018, she attended the Tamarind Institute’s Summer Lithography Workshop. Through the NSCAD Community Studio Residency program, she was an artist in residence at the Cape Breton Centre for Craft and Design in Fall 2018. PRICE: Sliding scale $45 to $65 + HST. Spots are available on a first come, first served basis. A waiting list will be created once the spots are filled. LOCATION: Possible Worlds (708G Somerset St. W., Chinatown, Ottawa). Organizers acknowledge that this program takes place on unceded Algonquin territory. WHO CAN PARTICIPATE: Open to all, no experience needed. Spaces are limited to ensure you personally get the technique right. Are you interested in learning how to play vinyl from a DJ perspective? Curious about what a DJ actually does with all those buttons, knobs and faders behind the decks? What’s all the equipment involved? Want to know how to put together your own DJ setup with turntables at home? 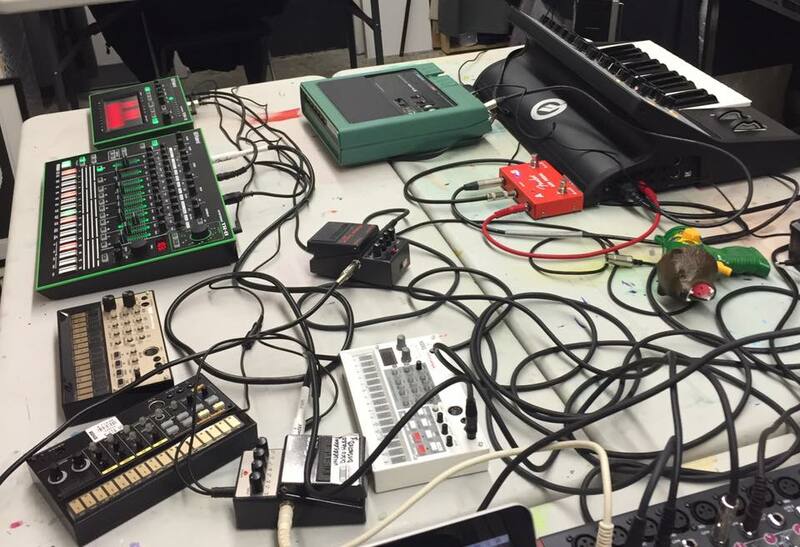 Possible Worlds presents a fun introductory group workshop to explore the basics of DJing. Join PW Co-Director Jason Skilz to learn about equipment, techniques, programming and the roots of DJ culture, then apply your new knowledge on the decks. We suggest taking this workshop as a companion to the upcoming workshop on Learn How to Digital DJ. Blending your first 1-2 songs on the decks. Know the essentials to take the upcoming Learn How to Digital DJ Workshop. DJ Jason Skilz runs the Low Noise Productions and Spins & Needles record labels, as well as co-founded/co-directs Possible Worlds. He curates the vinyl shop portion of PW, and has been spinning and collecting records for over 15 years. 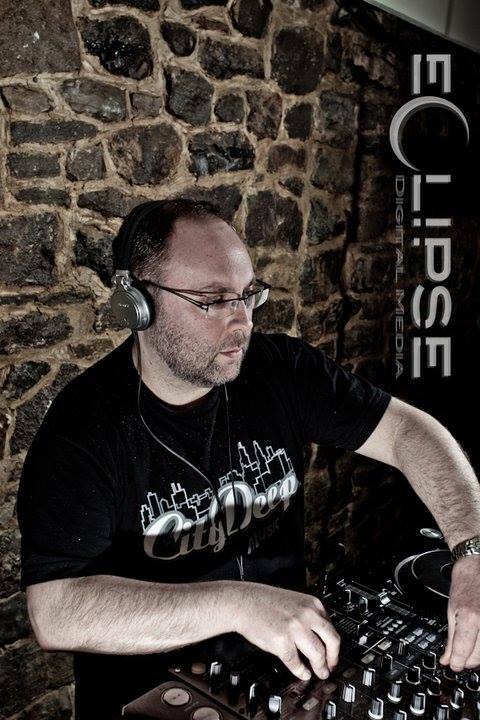 A DJ since the early 90s, Jason has techno releases on Low Noise Productions (Canada) and Euphemia (Italy) as Transmit, and house releases on Spins & Needles, OXO (Swiss), Dustpan (Singapore), LW Recordings (UK), Chicago House FM (USA), Caliber Sounds (AUS), Modern Revival (Germany). Jason has DJed events in Canada, US, UK, Europe and Asia, including music and art festivals in Amsterdam (ADE 2014), Berlin (2015), Miami (WMC 2015), Chicago and San Francisco. Spots are non-refundable. By purchasing a spot or having someone purchase a spot for you, you also agree to our terms of service and cancellation policy. If you have any questions, or if this workshop is sold out and you would like to be put on a waiting list, please e-mail us at info@possibleworldsshop.com or call 613-791-1152. This workshop takes place on the second-floor of a plaza and is only physically accessible by stairs (unfortunately there is no ramp or elevator). On behalf of the architects of the past who, by these design oversights, have left out many people, we apologize. Accessible washrooms are available down the street in 24-hour Petro Canada. To verify the number of spots available in this workshop, enter the number of spots you would like to purchase then click on the REGISTER button then CHECKOUT button. The cart will let you know if that number of spots can be accommodated. Payment for the workshop will happen at a later stage in the checkout process. WHAT YOU'LL TAKE AWAY: Learn the basics of one-colour printing on paper and fabric. How screens work; the photo emulsion process; basics of designing artwork; differences in inks, printing substrates, screen mesh and film work; terminology; one-colour printing techniques; and print culture in general. Print your own artwork and take away small art prints on paper or fabric you've brought with you. Check out the unique features of our workshop at Possible Worlds and stuff you can make. The possibilities are endless! WORKSHOP FACILITATOR: Facilitated by artist-educator-director Melanie Yugo of Spins & Needles and Possible Worlds, recognized for her 10+ years of silkscreening and art education in Ottawa-Gatineau and internationally. SILKSCREENING STARTER SET: To encourage you to keep printing after the workshop, take your screen with your own image (designed in advance of the workshop) or blank screen for an additional $30 or a professional grade squeegee for $10 (taxes are additional). After we receive payment, you will receive an e-mail confirming your purchase and therefore your registration. Be sure to look out for a second e-mail from us, approximately 5-10 days before the workshop, reminding you about the upcoming workshop as well as important workshop preparation information (make sure to check your spam/junk folder). If you do not receive this second e-mail, don't hesitate to e-mail us indicating so. Dates don’t fit your schedule? 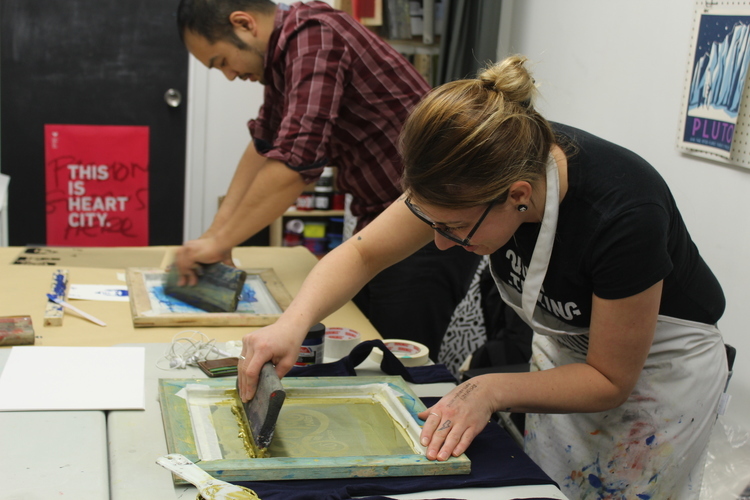 Want to organize a group silkscreening workshop? Prefer to learn one-on-one? More info here. Please note – You must be 18 years or older to take part in a workshop. If you wish to enroll someone under 18 years old please contact our studio to discuss. QUESTIONS? Contact us at info@possibleworldsshop.com or 613-791-1152. For those using digital or analog software or hardware meet up with fellow producers to discuss projects you’re working on and questions you have on production. Plus an open jam: bring a synth or piece of music gear and plug into our board and speakers. This month - guest presenter Alexandre Enkerli will present some cool production software apps for jamming! 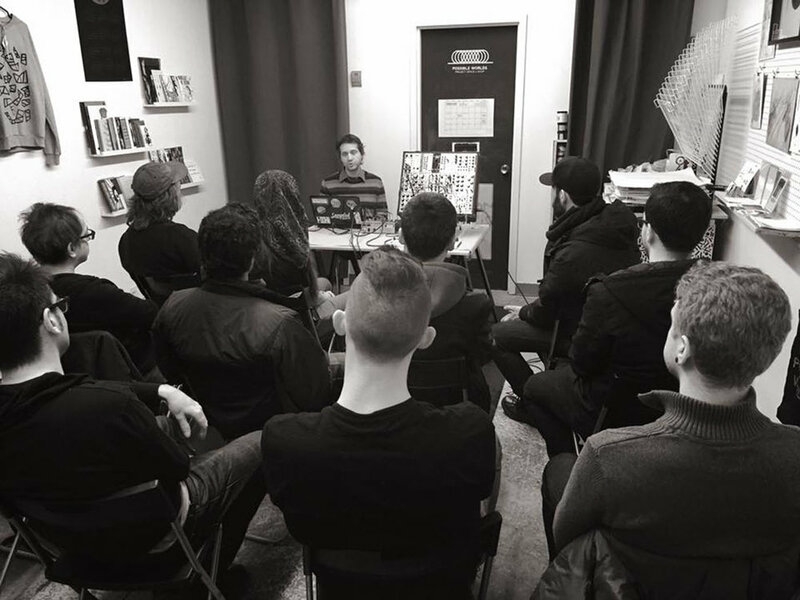 The producer meet up and exchange series is open to all - from beginners to long time producers and electronic artists, using software or hardware. The purpose is to provide a platform and opportunity to network and meet others interested in electronic music producing, writing, recording and performing. New illustrations and zines by Kimberly and a special PW artist edition featuring their work will be available for purchase. Entry is free. This exhibition takes place on the second-floor of a plaza and is only accessible by stairs (unfortunately there is no ramp or elevator). Possible Worlds is pleased to present our first exhibition of 2019, part of a series highlighting Ottawa-Gatineau based or born emerging graphic artists. In The Purpose is to Feel Deeply, interdisciplinary artist and illustrator Kimberly Edgar explores their personal experiences with depression, structural barriers and self-care within an increasingly volatile and violent society. Edgar’s watercolour illustrations reveal a modern-day Garden of Eden, where paradise is in jeopardy and where life is restrained, passive and paralyzed. Evocative of Edvard Munch’s The Scream, monocoloured human bodies lie in vulnerable positions within earthly contexts, stripped down to their essence, unclothed or shirtless. They seek refuge yet are aware that predators lurk by and that unpredictable forces, from nature to nightmares, cannot be tamed or altered. Edgar integrates direct commentary, a reflection of their comic arts practice, to pose statements to the audience. In doing so, they invite viewers to join them in an exploration of the human condition in contemporary life. My work revolves around confronting and working through difficult feelings, exploring my emotions publicly. It becomes a site for me to process the experiences that I have no words for. My body of work has therefore consisted of a lot of intuitive processes that I use to try and find access to deeper (sometimes uncomfortable) truths. Sometimes depression is a chemical imbalance, and sometimes it is a reasonable response to a violent reality. What happens when, in our individualistic western society, the onus of mental health is placed on the individual, on self care, as opposed to a structural change? How do I function in a system that wants me to fix myself when it is the system itself, not me, that is broken? This work is presented as an intuitive response to these questions and the stresses of living in the chaos that is contemporary life. Kimberly Edgar is an interdisciplinary artist who currently works primarily in illustration, comics, and drawing. After graduating from art school at the Ottawa School of Art, Kim moved to the Yukon for almost four years to pursue sculpture and performance art, then to Toronto. 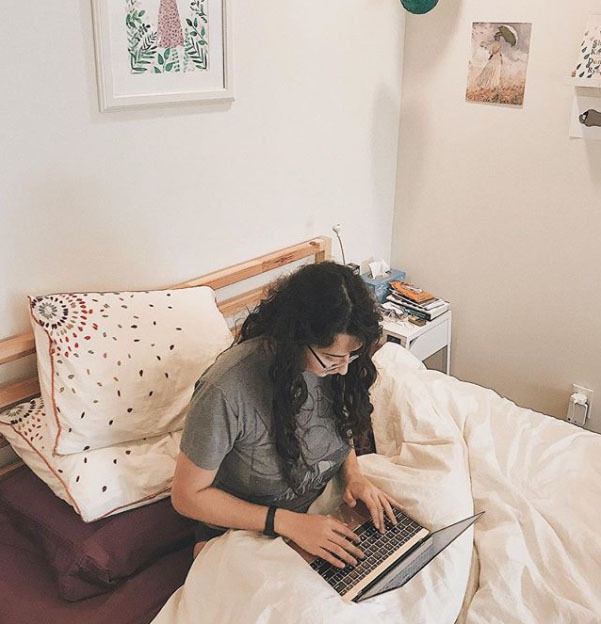 It was in Toronto where Kimberly started making comics and illustration more seriously, and after starting a small art business, Edgar has finally found a practice and routine suited to their chronically ill body. Between teaching art, selling designed goods and prints, and taking on commissions, and writing comic books, Kimberly is now constantly working. A portion of sales from the anniversary weekend will go towards our new PW Community Silkscreening Scholarships. This event takes place on the second-floor of a plaza and is only accessible by stairs (unfortunately there is no ramp or elevator). We acknowledge that PW is located on unceded Algonquin territory. "You can't be what you can't see". 2019 promises to be an exciting period for PW, with new ways of seeing and doing. This includes expanded opening hours, a slightly revamped website and physical space, new programs, initiatives, collaborations and exchanges - some of which we have already launched - in addition to fresh art and music in shop. Co-Director Melanie Yugo will be committed to PW full-time, alongside other key volunteers and collaborators. We will continue to provide an inclusive art and music platform that helps advance creative and cultural dialogue in Ottawa and beyond. From a one-year experiment to a community-driven space, numerous PW projects, activities and events have been activated in our 330 square feet home. To staff, volunteers, artists, partners, allies and you, we are truly grateful for your support over the years. Thank you for joining us in this adventure! We are looking forward to the year ahead. Come through for the first Possible Worlds After Work Club meetup. 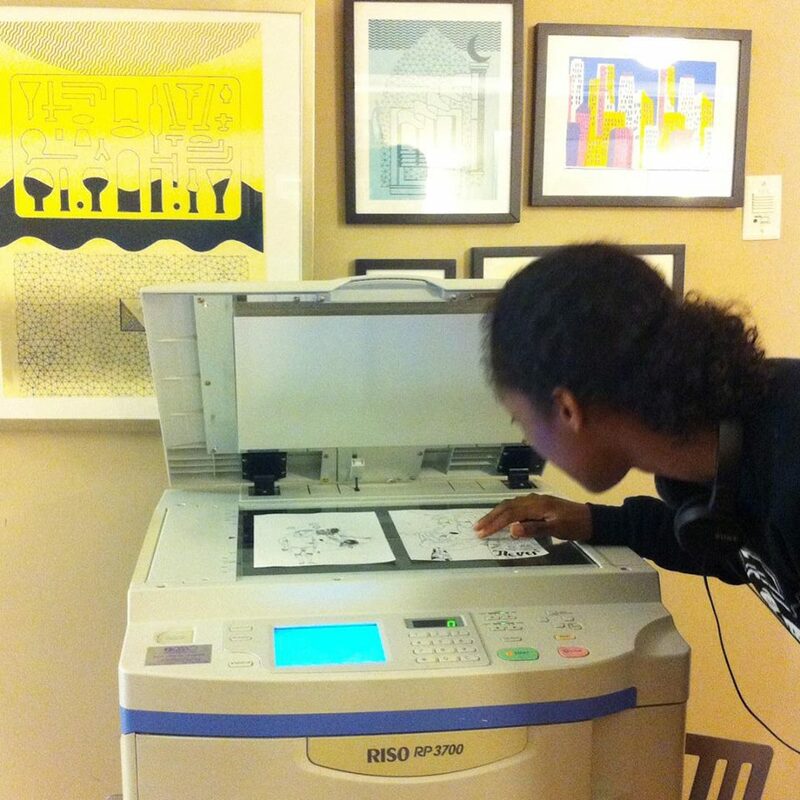 The After Work Club is a fun space for creatives into graphic art and visual art to gather. Discuss projects you're working on, followed by an open graphic art jam. At this meetup we’ll be working on zines: Contribute a page to our collaborative zine on the themes of utopia and dystopia. Bring your own materials or use the materials we have in-studio. After Work Club is PWYC (pay what you can) with registration; suggested $10 at the door. Spaces are limited. Please register through Eventbrite below. The After Work Club is a new series at Possible Worlds, open to all, from beginners to long time graphic and visual artists, using analog or digital means to make their work. The purpose is to provide a platform and opportunity to meet creatives interested in sharing graphic art processes, practices and projects, related to print, drawing, illustration, zines, DIY publishing, collage, comic arts, book arts, typography, photography, graphic design, video, murals, industrial design, and everything in between. To verify the number of spots available workshop, enter number of spots you would like to purchase then click on the REGISTER button then CHECKOUT button. The cart will let you know if that number of spots can be accommodated. Payment for the workshop will happen at a later stage in the checkout process. Advance registration is required (no drop-ins). Spaces are limited. Click on the REGISTER button to reserve and purchase your spot. PRICE: $65* + HST. Spots are available on a first come, first served basis. A waiting list will be created once the spots are filled. Possible Worlds presents a two-part workshop series to kick off 2019: New Year, New Brand! with Ariel Bissett. Join Ariel (@arielbissett), a renowned Youtuber and writer, over two sessions to learn how to create a branded online identity and use online video. This workshop is a follow up to her well-received artist talk with Greg White last year on "Designing a Digital Presence." You can sign up for Online Video 101 or Design Your Personal Brand, or both! Chances are you’ve already watched an online video today. Sharing video has never been so easy and has changed the way artists and creatives share their work. In this workshop we will be doing a deep dive into online video: what it is, where it can live, how you can plan it, and why it’s important. At the end of this workshop you will have a firmer grasp about why online video is important, you will understand how it functions on different platforms (YouTube, Instagram), and you will have worked through the process of creating a video from idea to filming to posting. WANT TO SIGN UP FOR PART ONE ON PERSONAL ONLINE BRANDING? > Sign up here. *SPECIAL PRICING: For this workshop, up to two spots will be offered at concession/reduced pricing of $55 (for students, recent graduates within the last year, or individuals on low-income). 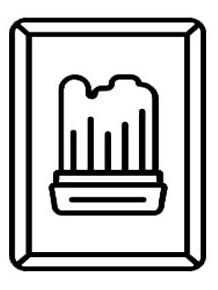 In all cases, proof of valid status is required at the time of purchase. Please e-mail us at info@possibleworldsshop.com if you are eligible for this pricing. Spots are available on a first come, first served basis. A waiting list will be created once the spots are filled. Ariel Bissett is a Canadian writer, poet, booktuber, and zine maker. 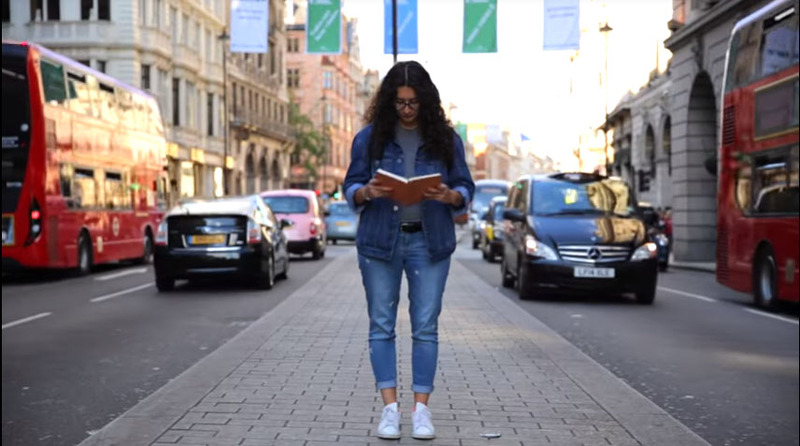 Her YouTube channel has over 140,000 subscribers and is a place where she tries to encourage everyone to pick up a book. She has spoken at VidCon, premiered videos at Buffer Festival, was an official Man Booker Prize Vlogger, and is creator and host of the BookTubeAThon - the largest YouTube readathon. Ariel recently completed a Master of Arts at the University of Ottawa. You can learn more about Ariel by visiting her website www.arielbissett.com or on social media at @ArielBissett. PRICE: $50* + HST. Spots are available on a first come, first served basis. A waiting list will be created once the spots are filled. 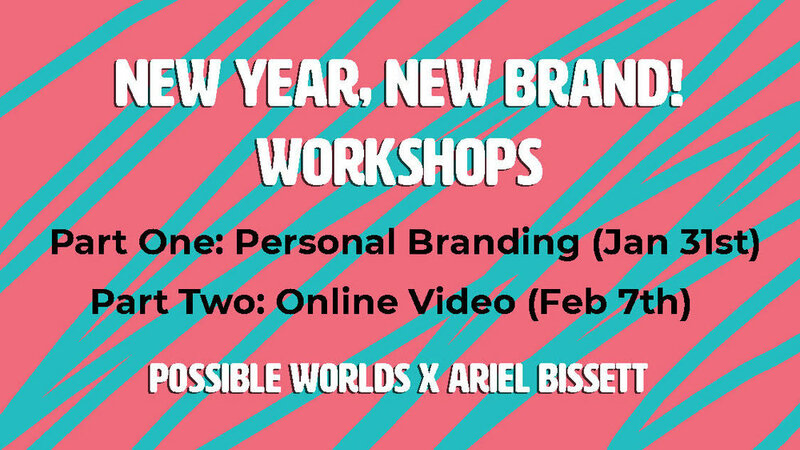 Join Ariel (@arielbissett), a renowned Youtuber and writer, over two sessions to learn how to create a branded online identity as well as using online video. This workshop is a follow up to her well-received artist talk with Greg White last year on "Designing a Digital Presence." What is your personal brand? What do people think about when they visit your online spaces? In Part One of this workshop series, we will investigate what a brand can do for you. 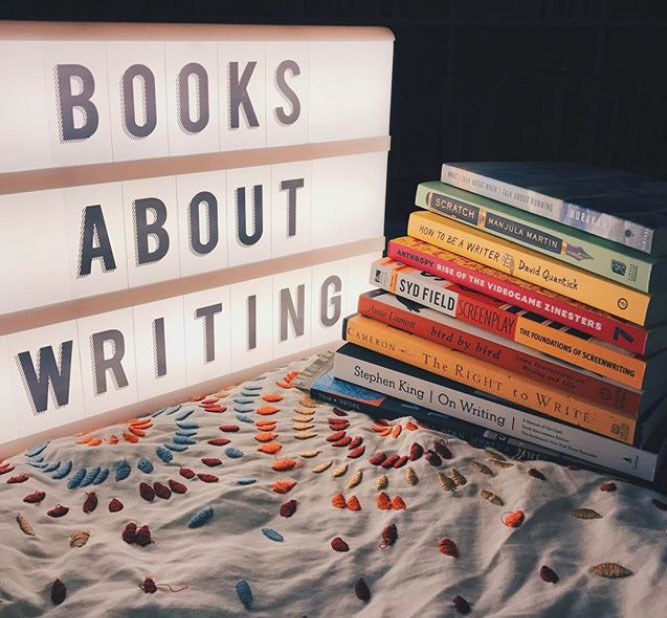 You will leave with a better grasp of how to create content for your social media, and a plan for how to revitalize your online presence in order to connect to the people and projects you're looking for. Leave with a plan of how to implement your brand to your online presence. Artists and creatives, people looking to revitalize their online spaces. WANT TO SIGN UP FOR PART TWO ON ONLINE VIDEO? *For this workshop, up to two spots will be offered at concession/reduced pricing of $40 (for students, recent graduates within the last year, or individuals on low-income). In all cases, proof of valid status is required at the time of purchase. Please e-mail us at info@possibleworldsshop.com if you are eligible for this pricing. Spots are available on a first come, first served basis. A waiting list will be created once the spots are filled. Low Noise Productions and Possible Worlds present..
To view number of spots remaining for this workshop, click on REGISTER and indicate number of spots you would like to purchase by clicking on + or - then CHECKOUT. The cart will let you know how many spots remain. 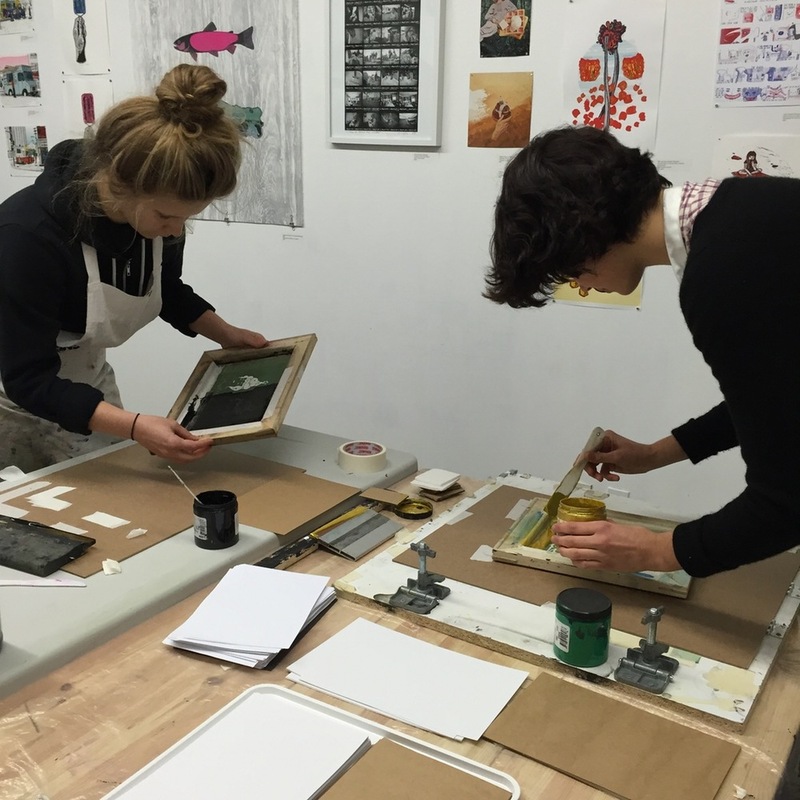 WHAT YOU'LL TAKE AWAY: Learn the basics of one-colour printing on paper and fabric. How screens work; the photo emulsion process; basics of designing artwork; differences in inks, printing substrates, screen mesh and film work; terminology; one-colour printing techniques; and print culture in general. Take away small art prints on paper or fabric you've brought with you. Check out our suggestions for the benefits of taking a silkscreening workshop at PW and stuff you can make. The possibilities are endless! WORKSHOP FACILITATOR: Facilitated by artist-educator-director Melanie Yugo of Spins & Needles and Possible Worlds (melanieyugo.com), recognized for her 10+ years of silkscreening and art education in Ottawa-Gatineau and internationally. For those using digital or analog software or hardware meet up with fellow producers to discuss projects you’re working on and questions you have on production. Plus an open jam: bring a synth or piece of music gear and plug into our board and speakers. *For this workshop, up to two spots will be offered at concession/reduced pricing of $35 (for students, recent graduates within the last year, or individuals on low-income). In all cases, proof of valid status is required at the time of purchase. Please e-mail us at info@possibleworldsshop.com if you are eligible for this pricing. Spots are available on a first come, first served basis. A waiting list will be created once the spots are filled. Advance registration is required (no drop-ins). Click on the REGISTER button to reserve and purchase your spot. Learn how to bookbind to create your own hard or soft cover artist books, notebooks or sketchbooks. We'll cover tools of the trade, sewing signatures, creating text blocks, adhering covers, and where to pick up materials. Participants will then work on assembling their own book, ready to take home with them at the end of the workshop. For all creative levels, no experience needed. Fee includes all materials. Facilitated by artist-creative director Melanie Yugo of Spins & Needles and Possible Worlds (melanieyugo.com). Melanie has led classes and workshops on bookbinding and other graphic arts at Algonquin College, Ottawa Art Gallery, National Gallery of Canada, as well as for festivals and institutions in the U.S., U.K. and Europe. Considered the go-to source for silkscreening (aka screenprinting) in Ottawa, participants have learned the process and possibilities of silkscreening in our Silkscreening 101 introductory workshop as well as more advanced techniques in our Silkscreening 201 introductory x intermediate workshop since 2006, as part of our creative studio Spins & Needles. 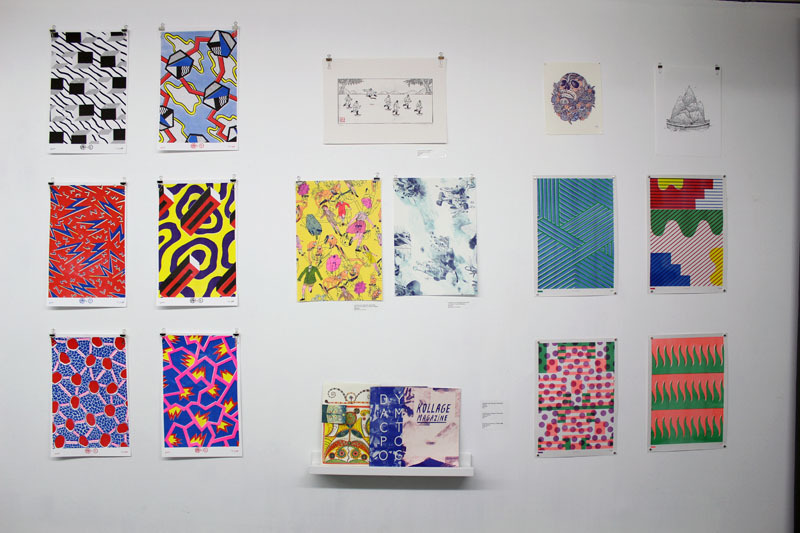 Alumni have created handmade gifts, printed merchandise for their own independent businesses or bands, gone on to start their own businesses based on silkscreened products, have their work featured in art shows, or silkscreen for fun. No prior experience is needed. Spaces are limited per workshop (up to 4 participants) to ensure you personally get the technique right. We also supply selected materials such as mesh, squeegees, blank screens (wooden frames) and exposed screens with images of your choice, and from time to time, access to our micro studio for those who have taken the workshop. 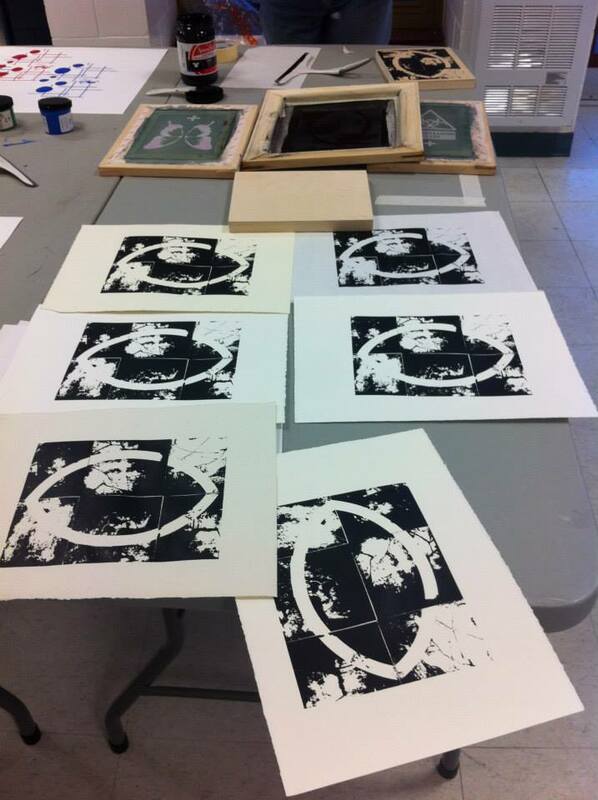 We also offer silkscreening workshop gift certificates that the recipient can redeem at any of our future workshops. WORKSHOP FACILITATOR: Facilitated by artist-educator-art director Melanie Yugo of Spins & Needles and Possible Worlds (melanieyugo.com), recognized for her expertise in silkscreening and print education. Melanie has led classes and workshops on silkscreening and other graphic arts for over 10 years at National Gallery of Canada, Ottawa Art Gallery, Algonquin College, and numerous high schools (e.g. Ashbury College, Cantebury High School) in Ottawa, as well as for arts and cultural festivals and institutions in the U.S., U.K. and Europe. If you’re looking for a unique gift, give the gift of a new creative skill and a spot in a Silkscreening 101 or 201 workshop. Gift certificates are available and can be purchased in-shop or online. We can accommodate group workshops of over 4 participants. We also host group taster sessions, ideal for school curricula, cultural institutions, staff retreats or parties, as well as special event and conference programming. E-mail us at info@possibleworldsshop.com to inquire about bookings and rates. *Please register at least 5 days before your workshop start date to ensure you have enough time in advance to prepare. Holzkopf is Western Canadian musician Jacob Audrey Revington Taves. 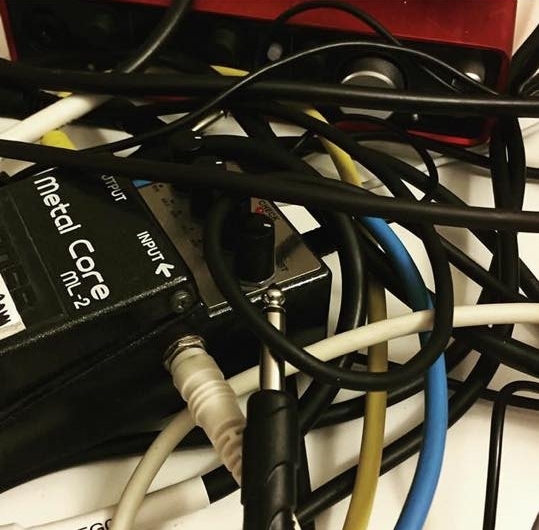 A decidedly non-traditional musician, they have mainly used budget bin samplers and drum machines in combination with tape recorders, mixing board feedback and raw data sounds. Part ritual, part dub and jungle influenced dance music, part freeform experimentation. Respect the space & everyone in it! The venue is wheelchair-accessible. Washrooms are gender-neutral, but are located in the basement so are unfortunately not accessible. 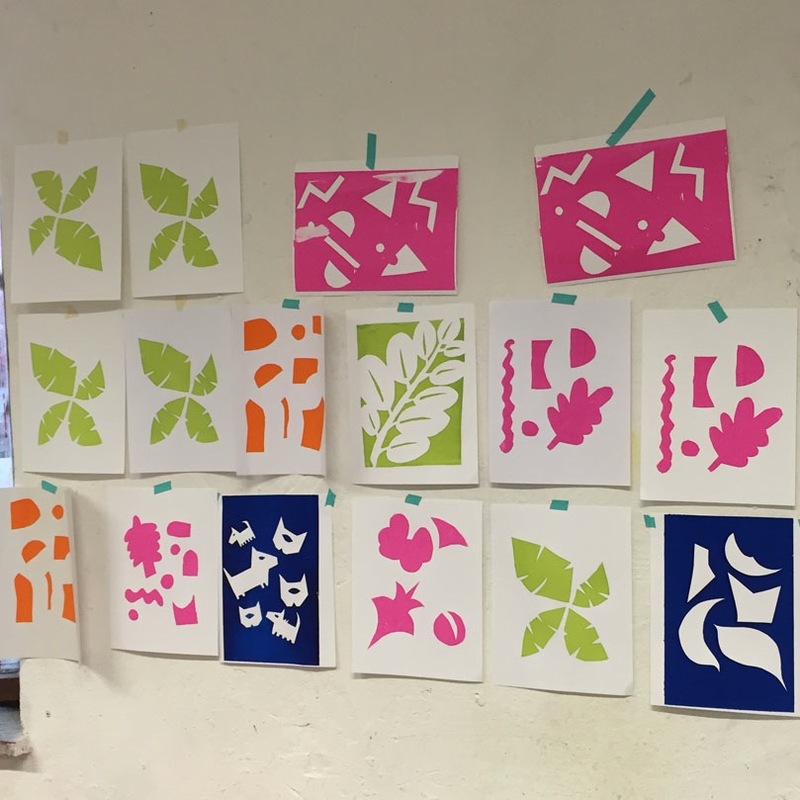 ** Please note that we are currently redesigning our Silkscreening 101 and 201 Workshops, to be launched in November 2018. Pricing and workshop description may change. *If dates are sold out, check out our Silkscreening 201 Workshop which combines Silkscreening 101 and more advanced techniques over two sessions. EDITIONS: Limited editions of the the artist’s digital works will be available for purchase. Possible Worlds is pleased to present our first exhibition of this fall season, part of a series highlighting Ottawa-Gatineau based emerging graphic artists. In Digital Epoch, the first solo show of his work, emerging artist Aidan O’Keeffe reflects on the spectrum of experiences we have with technology and the internet. Through his digital body of colourful and abstract artwork, O’Keeffe's pieces grapple with a society that praises technology even while it causes us to feel anxious and alone in our daily lives. Using his computer, a tablet and readily-available software or apps as his canvas, and a mouse, stylus or fingertip as his brush, O’Keeffe moves back and forth between carefully applied digital lines and shapes to more gestural strokes in the style of action painting to experiments with colour gradients. In doing so, O’Keeffe tries to express the contemporary paradox of feeling lonely and interconnected at the same time, drawing from his own emotions, as well as the interactions with and experiences of technology that both he and others have had. Aidan O'Keeffe (b. 1997) is an Ottawa-based, self-taught artist creating digital art, paintings and mixed media works. He is currently completing a Bachelor of Fine Arts at the University of Ottawa. He finds inspiration in graphic design, the city, and the wide range of human emotions we all encounter in our own journeys. In his work, he translates his and others’ experiences with contemporary life into abstracted images, driven by his interest in the ways lines, shapes, and colour interact. Possible Worlds is excited to be presenting at the 3rd edition of the Toronto Art Book Fair, a free public festival that celebrates and explores artists' books and printed matter. 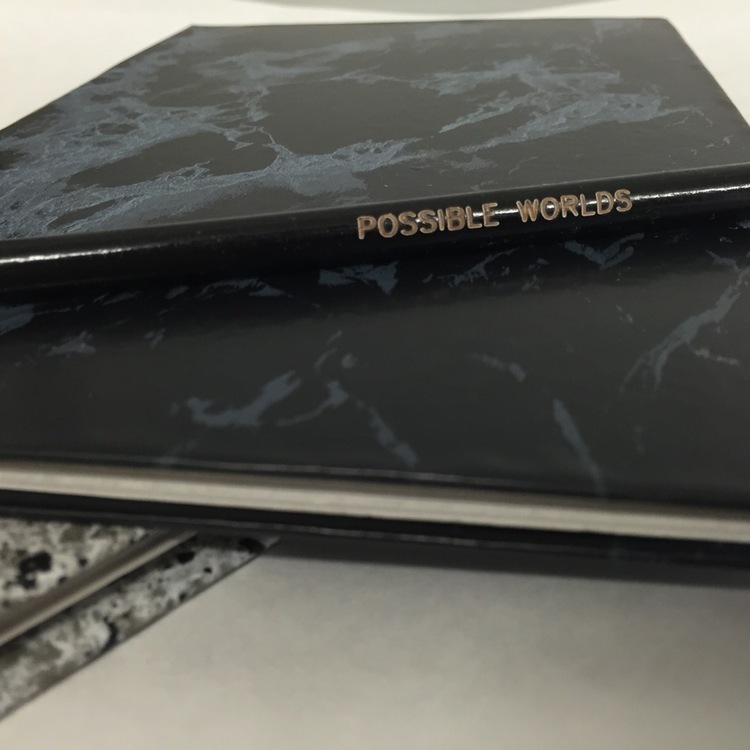 Drop by Possible Worlds' table to see our latest artist editions, ranging from prints to cassettes to vinyl to zines to artist books to apparel. Taking place July 5 - 8 at Chinatown Centre Mall (222 Spadina Avenue), TOABF 2018 will feature curated exhibitions, installations, Canadian and international exhibitors, and community programming that includes panel discussions, readings, talks, launches, and workshops. We are pleased to debut on the occasion of the show a special new artist edition by Brie Moreno. Produced by Possible Worlds in an edition of 25, handsilkscreened in-house and available for purchase. Possible Worlds is pleased to host Rub, the first solo exhibition of Ottawa-born, London based illustrator Brie Moreno. In Rub, vignettes of strong, leading female figures in psychedelic and mutated otherworlds command the page. Accompanied by human or animal sidekicks, these “superheroines” appear at ease in their environments, from conversing with colourful pterygota, to scaling ladders and tall trees wearing used nylons and Issey Miyake Pleats Please. The characters are playful, yet at the same time exude poise, confidence and power. Working in her bedroom getaway, Moreno's illustrations are made with felt tip marker on newsprint, an homage to analog techniques and folk art. Emphasizing the temporality or non-existence of these worlds, the drawings appear to warp and crinkle, and with time will fade away. 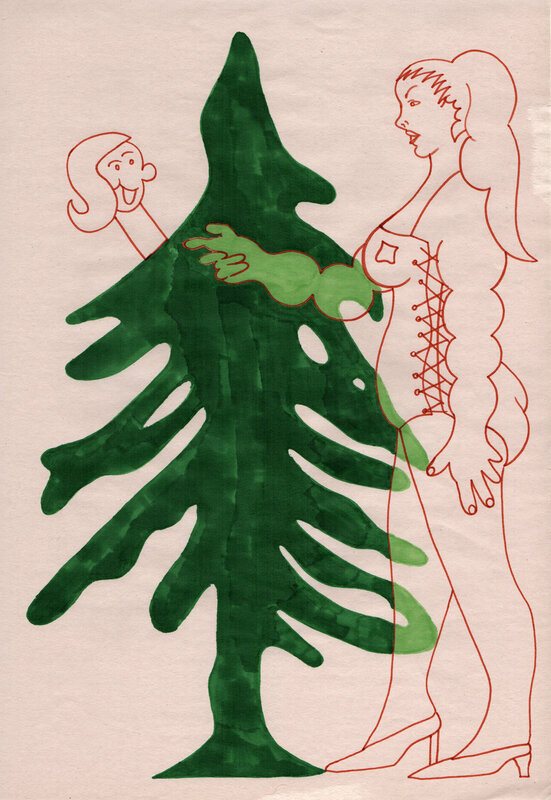 Rub showcases Moreno's drawings in her latest zine of the same name, soon to be released by Zurich-based independent publishing house, Nieves. She rubbed out all of her mistakes. She’s rubbing her drowsy lids, lathered in royal blue. He’s rubbing his Bichon Frise behind the ears. Their bodies rubbed and rubbed and rubbed. Her Miu Mius rubbed her ankles red and raw. Used nylons, archive Issey Miyake Pleats Please, juicy grapes and their vines, poise, anxiety, and colourful pterygotas are just some of the ingredients found in many of the recipes produced in my work. Each illustration is made with felt tip on newsprint, as to allude to nostalgia. The drawings warp and crinkle and with time will fade away… the excitement of the implications of time. One can observe vignettes of individuals bursting like a mudpot driven by nerves and zeal. Surrounded in lush patterns and green landscapes, the individuals hold their head high and dazzle through a tense grin, because why not? Brie Moreno (b. 1994) grew up in Ottawa and currently lives in London, England. Her work has been exhibited at Printed Matter in New York as well as at the Galerie du Jour - agnès b in Paris. She has worked with Art Gallery of Ontario, Bloomberg Businessweek, Novembre Magazine, Lagon Revue, Breakdown Press and Nieves Books. 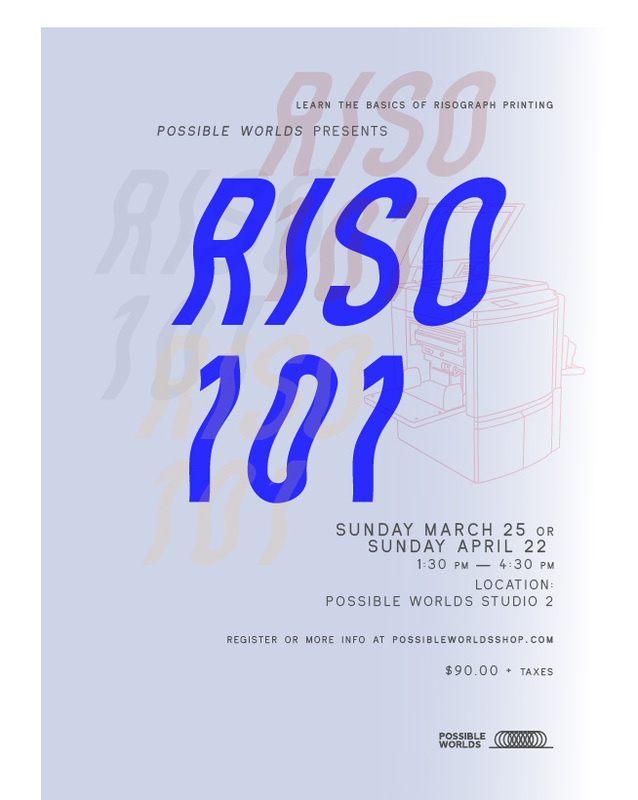 In this new workshop, learn about the basics of Risograph printing, including process and format, and create your own two-colour Risograph prints. 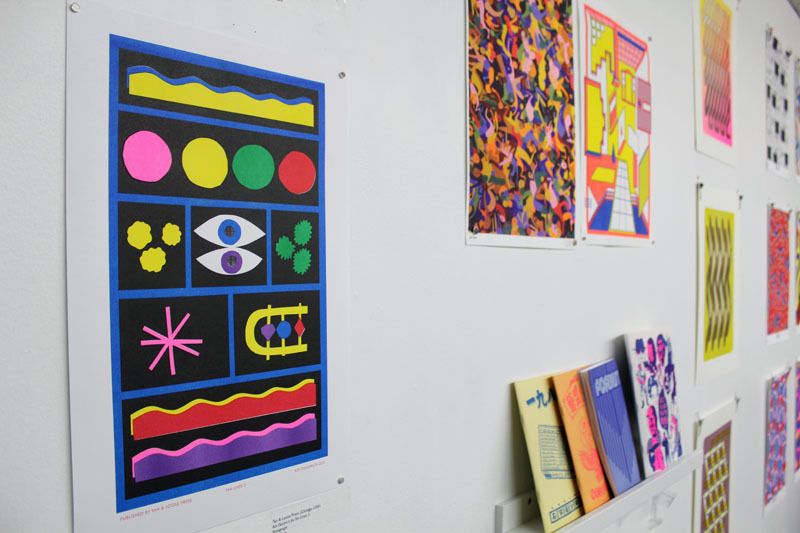 The workshop will begin with a brief overview of the print process, the resurgence of the Risograph machine within graphic art and design circles, and examples of work from international print artists. You'll then work with cut-outs, collages, drawings and text to create your own artwork. 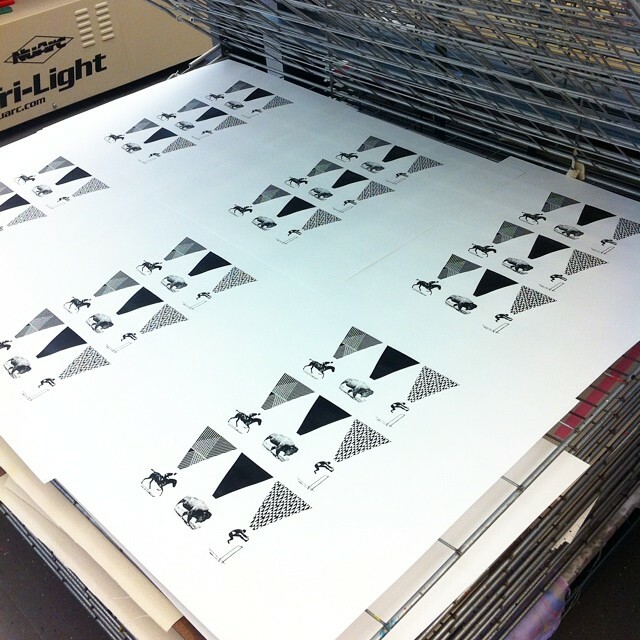 Each participant gets to print one design in two colours x 10 copies. All materials will be provided, or you may bring your own art making materials (e.g. markers, ink and brushes, pencils, collage materials, etc.). Open to all creative levels. Facilitated by Melanie Yugo, print artist and co-director of Spins & Needles and Possible Worlds (melanieyugo.com). Melanie has developed programming and led workshops on graphic art, most notably silkscreening, at Algonquin College, Ottawa Art Gallery, National Gallery of Canada, as well as across Canada, and internationally. She has researched and written on the resurgence of the Risograph machine for various publications, curated shows featuring Risograph work through the series Prints & Inks, and has interviewed and visited the studios of dozens of leading Risograph printers around the world. We can accommodate group workshops. We also host group taster sessions, ideal for school curricula, cultural institutions, staff retreats or parties, as well as special event and conference programming. E-mail us at info@possibleworldsshop.com to inquire about bookings and rates. SILKSCREENING STARTER SET: To encourage you to keep printing after the workshop, take your screen with your own image (designed in advance of the workshop) or blank screen for an additional $25 or a professional grade squeegee for $15 (taxes are additional). We are also pleased to debut on the occasion of the show a special new artist edition by curator Jon Vaughn and participating artist Patrick Kyle (Toronto, Canada). Produced by Possible Worlds in an edition of 60 and available for purchase, this Risograph print is the result of a drawing collaboration between Vaughn and Kyle created via email correspondence. Realms II is a project that brings together 100 artists across the pages of a book and a travelling exhibition of works. It shines a light on the work of emerging creative talent in contemporary print, illustration, digital drawing and comic arts from across the globe. Curated by Canadian visual and music artist Jon Vaughn, the first stop of this travelling exhibition will be at Possible Worlds. For its premiere in Ottawa, Realms II will feature prints by 23 emerging artists from eight countries who are consistently producing fresh and engaging work. Each artist was invited by the curator to create pieces that reflect or comment on imaginative, personal or intimate universes. These spaces are fictional, abstract or representational and tend to define them as individuals or what they call ‘home’. The curator's inspiration for exploring this area came from an interest both in science fiction and fantasy art, as well as to focus on the contexts that artists create, rather than the characters and subjects which tend to dominate them. While drawing is often the trajectory for the works, the artists express themselves in a multitude of ways using a diverse range of media: risograph, silkscreen and ink, or by digital methods. Sometimes fragments form the basis of the pieces in an abstract collage, while other artists dissect and reassemble parts of drawings to make challenging montages. Abstraction, cartooning and illustration share equal space in the Realms II book and exhibition. Possible Worlds will also play host to the launch of the Realms II anthology, a companion publication which features the illustrative work of the 100+ artists who have contributed to this project. This exhibition marks the first showing of work by each participating artist in Ottawa or in Canada. I believe the imagination has a power of invention that can rigorously challenge notions of knowledge and perception. Artists experience massively overpowering and deeply internal microscopic visions that can be like an axis crossing from the largest to smallest things. Powered by the imagination, these visions can transcend our biological limitations and show us worlds beyond our visual spectrum, as well as provide permutations and combinations of all worlds in numerous ways. Realms II seeks to open a space for those visions, and champions artists whose visionary gifts are fearless, obsessive and unapologetically unique. Jon Vaughn was born in Saskatoon and holds a Bachelor's Degree from the University of Saskatchewan in Art History. In addition to visual art, he is also involved in a range of other creative pursuits including curation, design, screen-printing, music performance and production, and publishing. A noted electronic musician, Vaughn’s collage style often has the precision and range of digital art while also maintaining a hand-made quality. His work has been exhibited, performed, and distributed locally (AKA artist-run 2014, BAM 2015, Art Placement 2015), nationally (Regina, Vancouver, Montreal, Winnipeg), and internationally (England, France, Italy, Belgium, Argentina, Bulgaria, Germany, the United States). Vaughn is editor-in-chief at Ecstasy Editions. The first Realms exhibition launched in 2010 in Saskatoon, Canada, and was guest curator Jon Vaughn's major undertaking as a curator of visual art. In 2017, he invited no less than 100 artists from around the world to create work that reflected their imaginative, personal or intimate universes. Realms II is a culmination of this invitation, a collection of hundreds of prints, larger originals and smaller drawings by members of the Canadian and international independent graphic arts community. The Realms II project was first exhibited at Gordon Snelgrove Gallery in Saskatoon in January 2018. Vaughn is currently planning a few variations of the Realms II exhibition, expanding across Canada and beyond. We are inviting the local record community into the shop for a small swap and used record sale on Feb 25th! Have some vinyl that your no longer into? Or looking to trade. Bring in your wax to trade or sell. If you have a crate or more to bring please contact us in advance. Limited table space is available. bring tapes, music items, videos, CDs too! stay tuned for Guest DJs that will be spinning! Practice/Process is a series of professional development meetups for emerging artists, designers and other creative practitioners hosted by Possible Worlds. We discuss a particular theme, focusing on the "what" of guests’ creative practices, and the "how" of their process. In February we’re taking on an essential part of creative practice: designing a digital presence and, specifically, how to do it effectively using social media. From the worlds of writing/zine-making/book reviewing and experimental music, this month’s guests are Ariel Bissett and Greg White. Fresh to the Ottawa-Gatineau creative scenes via Guelph, ON, and London, UK, these two have built a meaningful and engaged online following around each of their own practices. 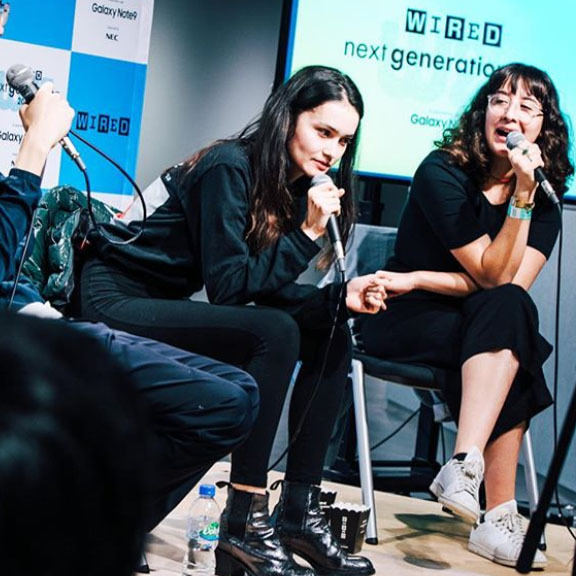 They will share their experiences of being based in small/large cities while using different platforms to showcase their work, grow their audiences, generate income, and make connections that lead to creative opportunities. As an open-dialogue meetup, this event welcomes creative practitioners in all fields who’d like to discuss how our digital presences can be designed into tools to grow our careers. Practice/Process is PWYC with registration; suggested $10 at the door. Spaces are limited. ARIEL BISSETT is a 23-year-old Canadian writer and video maker. 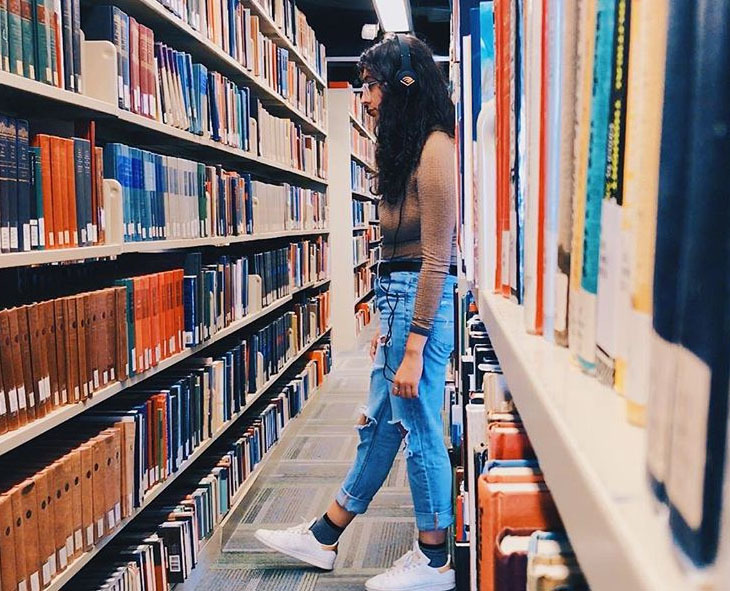 She shares her bookish passion with over 130K subscribers on her YouTube channel. Ariel is currently pursuing a Masters in English Literature at the University of Ottawa. Learn more at arielbissett.com. 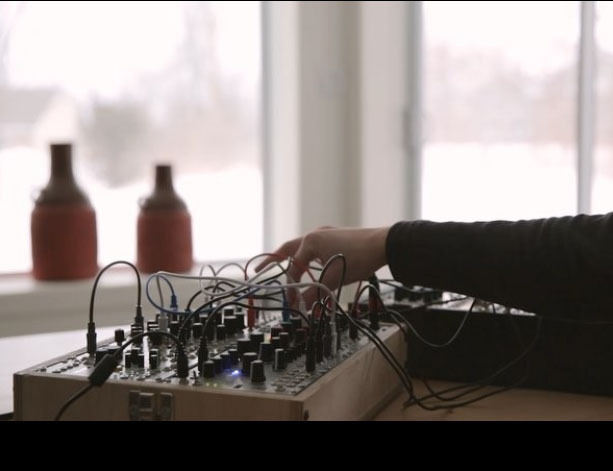 GREGORY WHITE is an experimental electronic musician working between Ottawa (CA) and London (UK), and at the intersection of art, music, and technology. 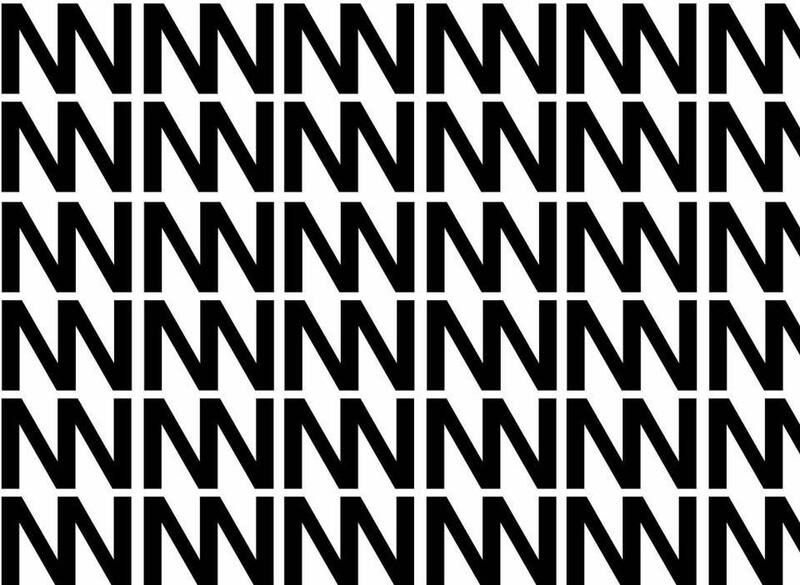 With White Noises, Greg aims to broaden the awareness and understanding of experimental music and modular synthesisers. These topics are made approachable through tutorial videos on the White Noises YouTube channel and his personal Instagram account. In the process he hopes to help build a passionate and inclusive community of musicians who are as excited about sharing knowledge as they are about making music. He also releases his own personal music on Bandcamp, ranging from dreamy atmospheres and joyful melodies to distorted pulsing rhythms. He attended the University of East Anglia where he received a First Class Honours degree in Music and Technology, specialising in Sonic Arts. After being introduced to coding by building his own digital instruments and interactive performances, Greg chose to study an MA in Computational Arts at Goldsmiths. You can find out more about Greg and his other projects at www.gregory-white.co.uk.